Every once in a while you walk away from a movie energized, moved and motivated to take hold of your dreams. At TTANTI we love drawing inspiration from travelers and adventurers of all sorts, and sometimes nothing is better than watching their stories unfold before our eyes through the magic of film. We’ve compiled a list of some of our very favorite adventure travel movies that give us the encouragement to follow our passions, the fortitude to stick with it when times are tough and the inspiration to know the journey is half the battle. If you’ve seen it you already knew it was coming: 180° South. Of course this ode to Patagonia would be number one on our list! This lively documentary follows Jeff Johnson on his trek to Chilean Patagonia, inspired by the 1968 trip taken by the legendary Yvon Chouinard and Doug Tompkins. Moving mostly by sea, the film follows Jeff as he traverses South America learning about the land, the changes coming from industrialization and encounters scenery so raw and breathtaking it will hurt your heart to not book an immediate plane ticket south. 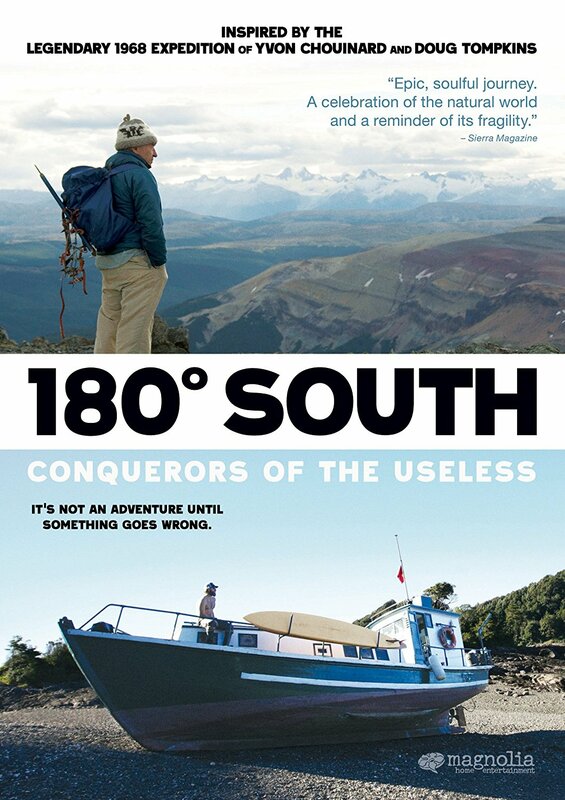 The Seattle Post Globe wrote "180° South is a thinking person’s adventure film, one that stimulates the mind rather that the adrenal gland." Our Patagonia heavy hearts and minds would have to agree. Travel can sometimes answer our questions and soothe our souls. Other times travel can create massive drama and high stress situations. Sometimes it does all those things, all at once. 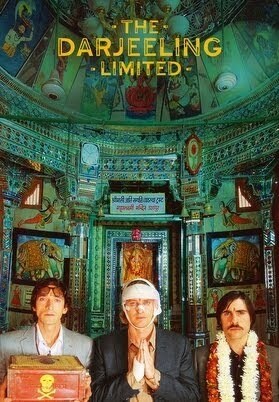 The Darjeeling Limited is the tale of three tortured souls, brothers, who are grieving their father’s death, their mother’s abandonment and various personal trials and tribulations as they embark on an epic train trip. The purpose? Bonding, of course. But also letting go of baggage and moving forward. A.O. Scott of The New York Times said the movie is, “a treasure: an odd, flawed, but nonetheless beautifully handmade object as apt to win affection as to provoke annoyance. You might say that it has sentimental value." Which, really, could be said for any great travel adventure. Often times travel brings out in us the instincts that we didn’t know we possesed. The ability to not only survive, but thrive, when situations spiral out of control or when we are completely overwhelmed, when grit is all that carries us forward. 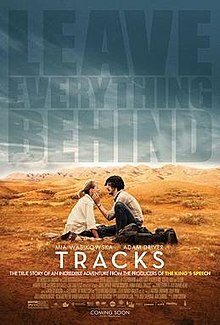 Tracks follows the epic true story of Australian Robyn Davidson as she travels from Alice Springs across 2,700 kilometers of Australian deserts to the Indian Ocean. Her companions? Her faithful dog, four camels, her indigenous guide Eddie, local indigenous tribes along the way, various critters and creatures along the way and a National Geographics photographer who occasionally comes along to document her journey. Robyn’s perspective on life, her homeland, nature and her heart are unpretentiously enlightened as she travels and grows spiritually. 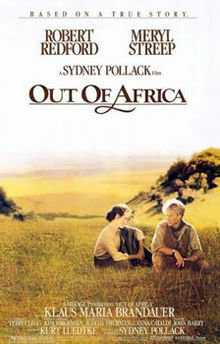 Out of Africa is the classic wanderlust film that has inspired and moved so many over the years to not be afraid of adventure, your passions or your feelings. This movie follows Karen Blixen, a wealthy Danish woman, as she moves to colonial Nairobi, British East Africa to embark on a life of unexpected twists and turns. Stunning cinematography pairs with the winning performances of Meryl Streep and Robert Redford to create a film that will leave you yearning for more. Sometimes travel doesn’t even make you leave your home city. Sometimes an epic journey is completed quite close to home - perhaps even in your own neighborhood. Taking on the unknown, spearheading projects for good, moving beyond your comfort zone, and realizing that sometimes your best intentions all lead up to something much bigger and greater than you could ever have imagined. 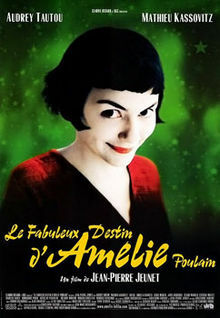 The story of Amélie, a lonely Parisian thrusting happiness into the lives of her neighbors, finds lessons great and small as she travels her city sprinkling happiness as she goes. What did we miss? Tell us in the comments and share the movies that keep you moving! Whenever we need a dose of film inspiration to keep us going we love to look back on our film debut and the journey that TTANTI stands for. The journey between artisans, the journey through our homeland and the journey through dedicated passion.